Your credit card statement will show Today's Promise as the provider. 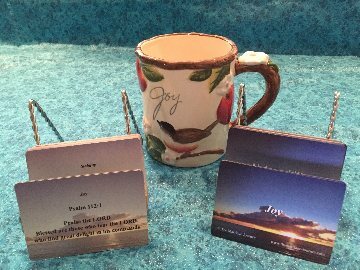 Today's Promise is the legal publisher of the book and cards. Your cards will be sent via USPS First Class mail. Please allow 3-5 business days for processing after we receive your payment. The cards serve as navigation “checkpoints” similar to most flight requirements to report their route checkpoints with flight control centers! Each deck of cards contains 54 words relative to marriage, one on every card. Each word is supported by a scripture for that word. That word is intended to provoke discussion, thought and strength to the couple. The Navigation Cards help couples to learn where they are aligned and reveal strength in their marriage. At other times, they’ll discover a word that prompts an opportunity for growth. (We call it flight path adjustment.) Together, the couple can experience joy and a better understanding of their spouse by using a simple set of cards (flight guides). How are the cards important in your discussion? Begin by selecting twelve (12) cards that contain significant words to you on today’s discussion. Once you both have selected your cards, share the results, noting any similar words. Set the cards with similar words aside for now. Now share why you chose the words (cards), using the Assertive Communication and Active Listening skills you learned in chapter 2, Communicating - The Control Tower Is Calling and chapter 17, Marriage Expectations - The Pre-flight Experience. Be sure to read and share the corresponding Scripture on each of these cards, and then tell your partner how that Scripture relates to the discussion today. Gather your cards together one more time, including the ones you set aside. Sort them again, but this time, select the single most significant word to you. Now compare this sorting result with your spouse’s choice. Did you select a card with the same word or have you each chosen a unique card? These cards, and the Scriptures, are the most meaningful in your relationship at this moment. Read the verse to each other, share the word, and then discuss why you chose this single card. Speak with sincerity and love. Be sure you are not talking with a tone of aggression, distrust, or disbelief. Be positive, choose kind phrases. Remember, the discussion and choices will differ, because the topic of discussion is never the same. (Even if the subject is similar, the discussion will change because the elements leading to the dialogue differ.) The words and Scripture for each conversation will be unique to that exchange and have a special impact on your result. Use the cards often, in many scenarios, to help you gain a better understanding of your spouse and yourself. Combine them with the Conflict Resolution steps, Forgiveness discussions, Stress Management techniques and more.